NewsLetter Script PHP is an email subscription newsletter script written in PHP and MySQL. The visitors will be able to read the news on your website, subscribe and receive news in letters. Current stable version of NewsLetter Script PHP is 2.2 (minor update, released in November 05, 2018). Updates log. Well designed admin area will allow you to manage subscribers, news, options, styles and wordings. When visitor lands on the page a popup will appear after seconds and will invite him to subscribe. 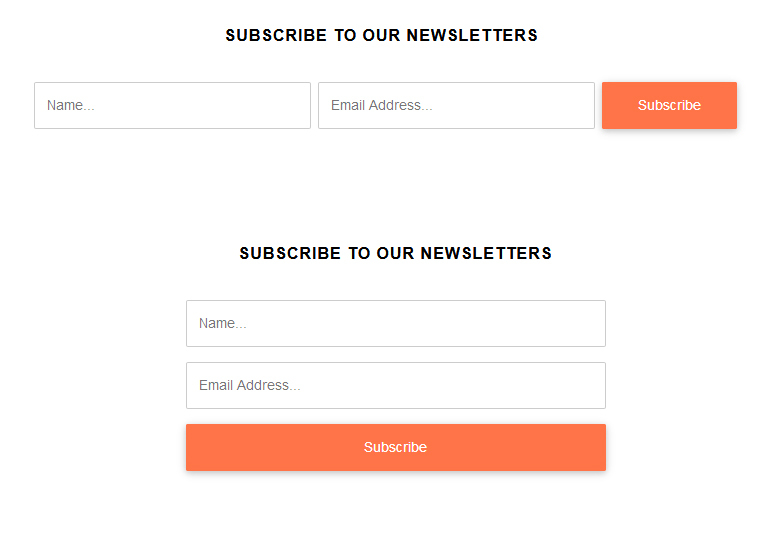 Option to choose between horizontal or vertical subscription form in case it's in sidebar or page body. Visual(css) options in admin area for changing colors, fonts, styles for newsletter received from subscribers. Sending newsletters to selected email addresses or send to all subscribers. Optionally you may create categories. On the front-end menu with news categories will appear. Option to send newsletters via smtp server or php mail function on the web server. Options to choose the captcha image for the subscription form or without captcha. Option to collect name and email, or only email in the subsctiption form.